Why Do We Not Clap Our Hands In A Gurdwara? This is the TWELFTH in our series of questions and answers where we seek your active participation. Why don't we ever clap our hands in the gurdwara ... during or after the divan? It is never part of kirtan, even to mark the beat. The sangat never joins the kirtan by clapping its hands, the way Hindus do in a mandir. Nor do we clap our hands in applause, no matter how much we approve or agree. Ours may be the only place of worship where no clapping is allowed. 1: Balbir (Los Angeles, California, U.S.A.), March 08, 2012, 7:01 AM. To approve anything in the gurdwara, we say 'Waheguru'. 2: Jagbeer Singh Khalsa (Bimingham, United Kingdom), March 08, 2012, 8:31 AM. To be honest: many of us strive to prevent distracting talk in the Darbar Sahib and in other gurdwaras. I think allowing people to clap or applaud would be highly counter-productive towards these efforts to remind people that they are in a place of worship, contemplation, meditation and learning. 3: G.S.P. (United Kingdom), March 08, 2012, 10:29 AM. 4: Veena Pannu (Evans, Colorado, U.S.A.), March 08, 2012, 4:40 PM. When I was a young child, I remember posing this question to my mother and her reply was that if you start clapping, you lose concentration on the words and instead concentrate only on the rhythm or beat of the kirtan. Thus, you don't understand the words. I on the other hand feel that one claps when one is thoroughly enjoying and is engrossed in something melodious, that leaves an indelible mark in your memory. It has nothing to do with maryada and in no way is disrespectful to the religion. It is simply another way to "magan hona" - get lost - in something. 5: Tejinder Pal Singh (Houston, Texas, U.S.A.), March 08, 2012, 4:40 PM. 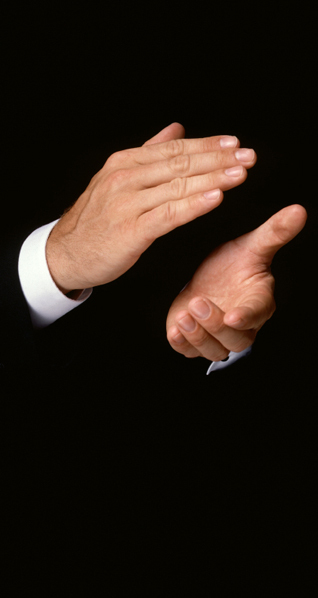 Clapping is a generic expression of approval and is used in many settings, e.g., classroom, meetings, concerts, etc. In a religious setting, it would be better to use God's name or something spiritual because it serves two purposes: 1) You remember Waheguru. 2) At the same time, the approval is made. Therefore, Sikhs use the jaikara to express their approval or assent in a gurdwara setting. I think Hindus use clapping to followq the music of their bhajans/chants. So, we don't need clapping. As mentioned in comment#3, clapping is disruptive energy, there is nothing spiritual in it. 6: Mohan Singh (Toronto, Ontario, Canada), March 08, 2012, 6:49 PM. Hymns of gurbani are divine, each constitutes Hukam. Sikhi is from within and is highly dedicated to Akal Purakh, therefore, during divan, silence, concentration and concentration is necessary as these are the stepping stones to a surrender to Waheguru. By and large Guru Nanak has rejected almost all the Hindu rituals. 7: Kanwarjeet Singh (Franklin Park, New Jersey, U.S.A.), March 08, 2012, 11:02 PM. Clapping is a form of appreciation equitable with the joy in one's heart and the feeling of being very happy. We, however, express our joy and appreciation by joining in singing of kirtan or simply praising Waheguru. I don't see anything wrong in clapping or dancing in the gurdwara - it is simply not our protocol. Here is my justification of the above comment: many of the Sufi sant bani is included in Guru Granth Sahib, some of it is sung by the sufis themselves by clapping, dancing, etc. The primary focus should be on 'naam juppna', how one attains the naam is one's personal choice. 8: Ajit Singh Batra (Pennsville, New Jersey, U.S.A..), March 09, 2012, 4:55 AM. Clapping distracts attention from what is being said when a gurdwara service is in session. The aim of the sangat is to immerse itself in simran, kirtan and vichaar. The sangat gives approval of kirtan when they sing with the raagis. Plus, the sangat gives approval and recites the verses with the granthi prior to his/her taking the vaak from the Guru Granth. We must distinguish the gatherings in gurdwaras from other gatherings, if we want to save our gurdwara culture. 9: Sangat Singh (Kuala Lumpur, Malaysia), March 09, 2012, 6:14 AM. The whole set of physical movements, be they dancing, clapping of hands, spinning around, yogic postures, etc., as part of religious observance, are most graphically described by Guru Nanak in Asa di Vaar as exquisite ignorance. In the end: "nach nach haseh chaleh say ro-ay/ ud na jahee sidh na hoi/ nachan kudan man kaa cha-o" [GGS:465.13] - "Those who dance and dance and laugh, shall weep on their ultimate departure. They do not fly to the heavens, nor do the become siddhas. They dance and jump around merely on the urgings of their minds." 10: Sukhdev Singh (United Kingdom), April 06, 2012, 12:27 PM. When our Gurus selected the raags for the verses in the Guru Granth Sahib, they were very careful in choosing only those raags for kirtan which were immune from clapping and dancing. 11: Kewal Krishan Saluja (New Delhi, India), September 21, 2012, 7:31 AM. Happy to read all the comments. I agree with all, there is no need to clap in a spiritual gathering. Comment on "Why Do We Not Clap Our Hands In A Gurdwara? Sikhing Answers - XII "